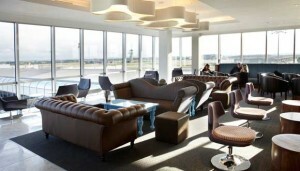 British Airways now using the No 1 Traveller lounge at Gatwick North – feedback? In early January, the British Airways lounge complex at Gatwick closed. This is part of the preparation for the terminal switch which is due to take place in November, with easyJet moving everything to the North terminal and BA moving to Gatwick South. My thoughts on the Gatwick North lounges have been published here. 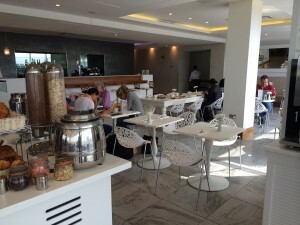 I found the British Airways lounges to be pretty awful (see my comments here) and the No 1 Traveller lounge (review) and its sister My Lounge (review) facilities to be pretty good. When it was announced that BA would be ‘moving in’ with No 1 Traveller for 11 months, I thought it would be an improvement! At peak times, the No 1 lounge is now overcrowded. There are some reports of long waits for food (although, to be honest, not so many that it seems to be a major problem). British Airways has decided not to issue vouchers for free champagne to First Class and Gold Card ticket holders who would otherwise have been able to get it in the old Galleries First lounge. No 1 charges £8 per glass. This is a fair point, although I was surprised that missing champagne had inflamed so many people. I get a feeling that some of the bad feedback is from people who had never visited the old BA lounge and so were unaware of what was on offer before. Last time I checked, the BA Gatwick lounge did not have a table football table, for example, unlike No 1. The No 1 lounge buffet is also substantially better than anything BA offered. What we can say is that I wouldn’t bother turning up at the No 1 lounge at peak times clutching your Priority Pass card, as your chance of getting in is low. You can pay £5 in advance to guarantee entrance with a Priority Pass via this website. Whilst this has not been announced, it seems that BA and No 1 may be taking over the old Delta lounge which is two floors beneath the No 1 lounge, next to the Aspire lounge. This may be run as a separate facility for BA Gold and First Class ticket holders, although they will struggle to get it up to much of a standard in the time available. There are also rumours that the move to the South Terminal will be delayed until next Spring, which may account for the Delta lounge conversion. If you have been in the No 1 Lounge at Gatwick as a BA passenger in the last 2-3 weeks – and I haven’t – do let us know your thoughts via the comments below. Triple points for UK Accor weekend stays - should apply to Happy Mondays too! No 1 lounge is terrible. BA should be ashamed. Not enough toilets, waiting 15 mins for a coffee, 40 mins for a terrible bacon roll and even the Diet Coke on tap is undrinkable. I mention people complain about the old terraces lounge, well sorry but a million times better than No 1!!! No 1 was totally fine before it was overrun by BA passengers …. in the same way that the BA lounges would have been a nightmare if No 1 had been shut and all the passengers sent up there! It’s a real shame as No1 does a great job normally, they are normally excellent. Sounds like they took on the BA relief business & can’t cope. If I were in charge I would be making a lot of changes, why can’t No1 mgt & BA mgt see this? Start the self pour service same as old BA to relieve barhops. Recruit more barstaff & cleaners. Limit numbers to what is manageable.